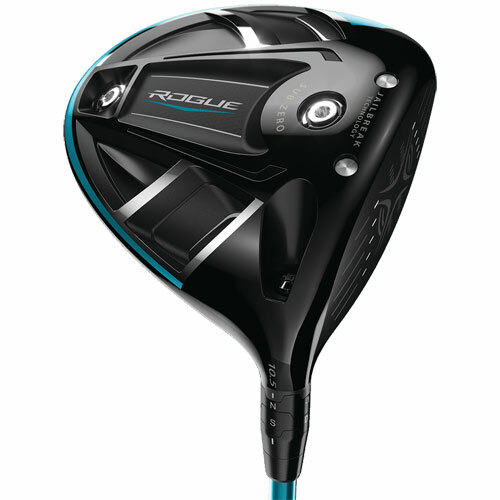 Rogue Sub Zero is an extraordinary achievement: a powerful, extremely low-spinning, Tour-level driver packaged in a high-MOI head shape. 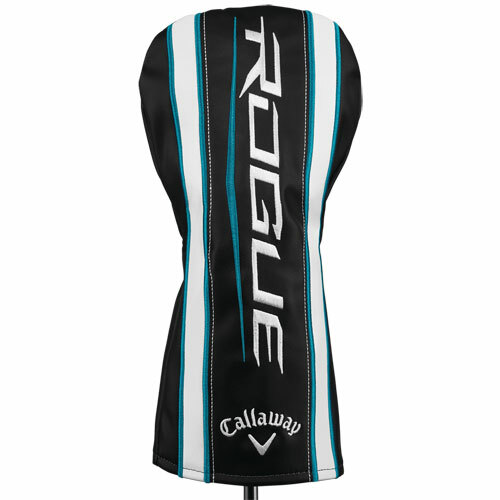 Though designed to appeal to Tour pros, Rogue Sub Zero is so forgiving and easy to hit that any amateur seeking lower spin is also a great candidate for it. Rogue Sub Zero performance is spearheaded by our improved Jailbreak Technology, which drastically changes how the head behaves at impact. New, hourglass-shaped titanium bars are lighter than before, yet equally effective at stiffening the crown and sole, allowing the face to take on more impact-load to promote faster ball speed. Improved X-Face VFT technology promotes fast ball speed across a larger part of the face. That, combined with Jailbreak, promotes a significant boost in ball speed and distance. 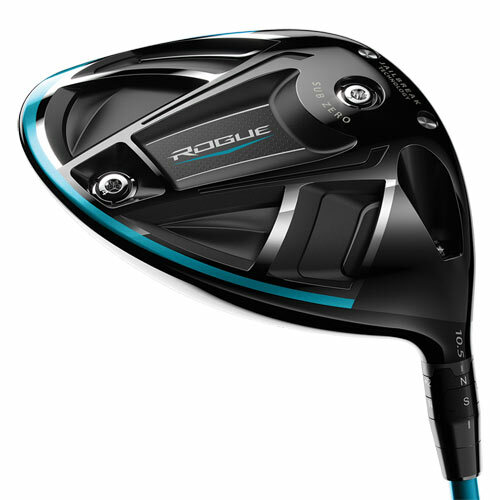 Rogue Sub Zero’s high MOI starts with its light-and-strong triaxial carbon composite crown, which saves weight that’s redistributed in the head’s perimeter. We can’t emphasize enough what an astonishing engineering feat it is to make a low-spin driver with this high level of forgiveness. 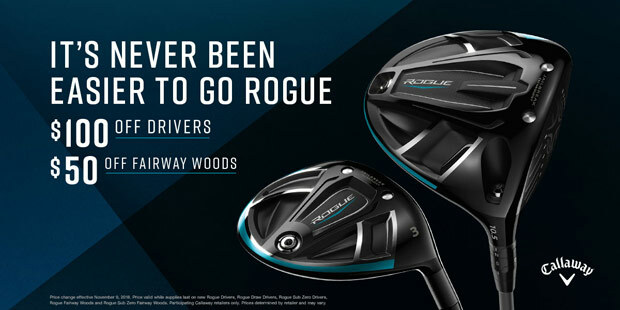 Rogue Sub Zero’s head shape and construction allows Callaway engineers to position the CG low and deep with a more neutral bias. This position, along the head’s neutral axis (the line that runs perpendicular to the loft and intersects with the geometric center of the head), promotes higher launch and low spin -- the launch conditions that promote maximum distance. Combined power of Jailbreak Technology and X-Face VFT Technology promotes high ball speed and long distance. The largest carbon composite surface area ever in a Sub Zero model; its light-and-strong composition saves weight that’s redistributed to increase MOI and align the CG with the neutral axis to lower spin. Two interchangeable (2-gram and 14-gram) to adjust spin-rate and launch angle. Put the 14-gram up front to lower spin, or in back for higher launch and increased MOI. New boundary layer at the top-edge of the crown improves the Speed Step’s ability to “trip the flow” of air to promote faster head speed. Choose from 40g, 50g, 60g, 70g and 80g weights by Aldila Synergy, Aldila Quaranta, Project XEven Flow, and HZRDS Yellow.